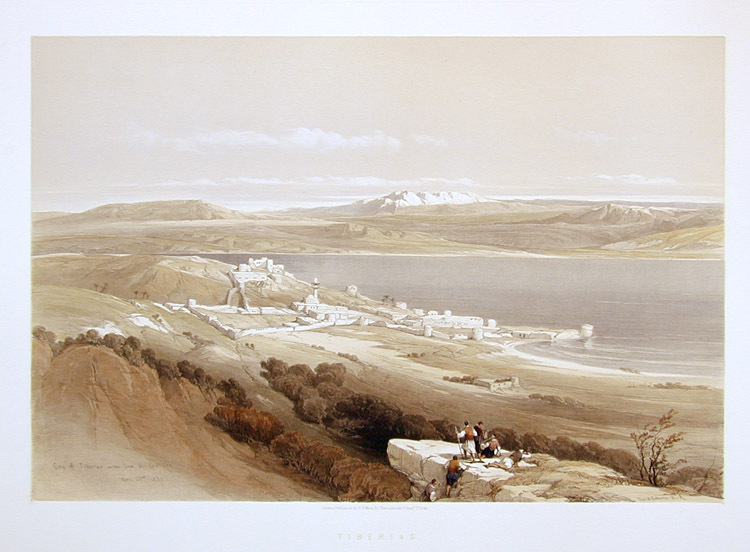 Comments: This full folio depicts the town of Tiberias from a distance, showing the Lake of Tiberias, into and from which flows the Jordan River. Interestingly, this print and HI 100 make a diptych panoramic view, the only one in the series. Price: $950 uncolored, $1,050 colored. Image: Approx. 12 3/4" x 19 1/8"